I love a children’s book with a dark twist. Life isn’t hearts and rainbows so why set a kid up for disappointment? Stories with a bit of black humour, like I Want My Hat Back by Jon Klassen or any of Roald Dahl’s tales, also tend to entertain the parent reading as much as the child listening. You might assume that a book called Cake would be sickly sweet but it very much falls into this mischievous category. Made by the publishing dream team of Sue Hendra and Paul Linnet, it has the same silly humour that has made their off-the-wall Supertato series a runaway success. The book starts with Cake receiving an invite to a party. He’s never been to one before and ponders what he should wear. After much consideration (and some comedic outfit options), he buys a fancy new hat that looks suspiciously like icing and candles. This book is a big slice of fun with rich layer of wit, like the buffet food rescue party led by a raspberry jelly and the sight of a camp cake riding a bike. The artwork is also bright and attractive, with a sparkly cover befitting a birthday celebration. 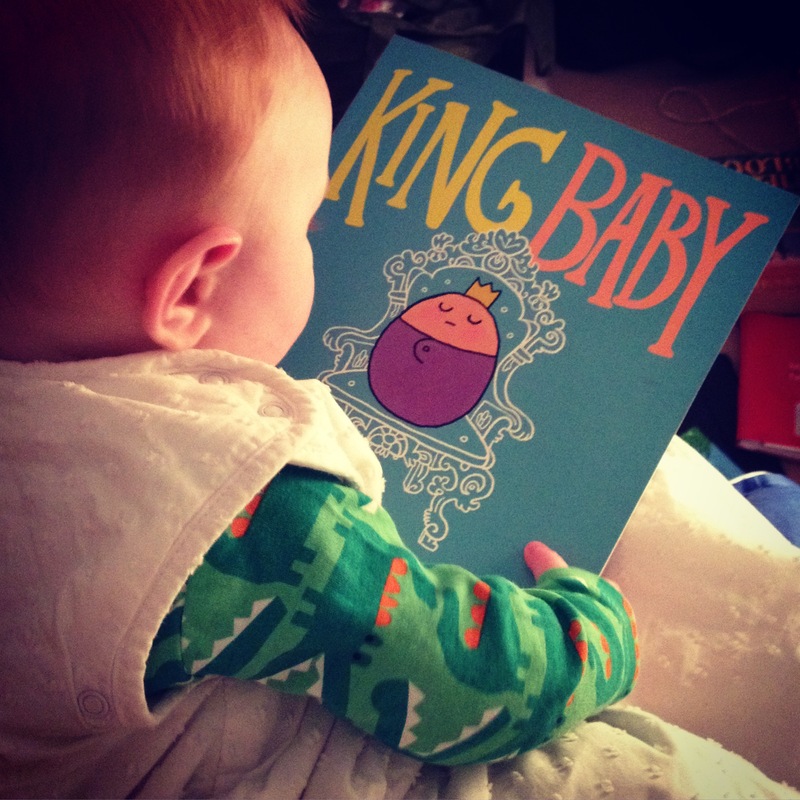 Baby Bookworm has a weak spot for cake anyway so he has greedily devoured this story, asking for more every time. We are more than happy to indulge his appetite because who doesn’t love a bit of Cake?